Halloween Jigsaw Puzzle Stash is rated 3.1 out of 5 by 9. Rated 5 out of 5 by Kimmycoo from Took a While, But Love it It did take me a moment to get into this game, I couldnt figure out what was going on, I kept wondering why it was taking so long to get to the house and find decorations for it. Have patience! I ABSOLUTELY love each scene that you put together in puzzle form. They are beautiful. I dont like the sliding puzzles but that is fine. I like the hint system as well. 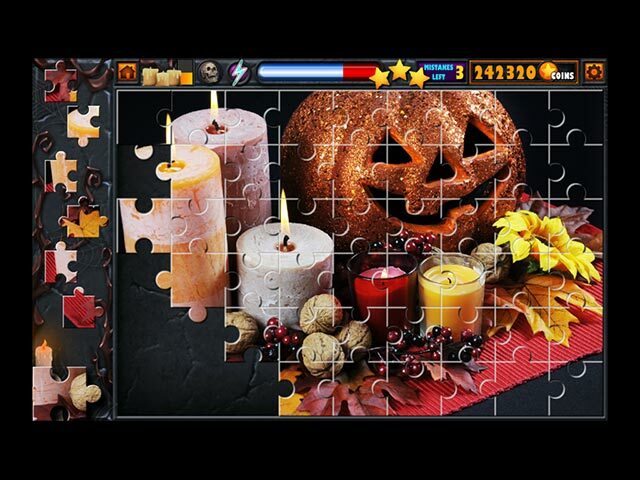 Rated 5 out of 5 by mike565 from Fun Halloween Jigsaw Treat! I love solving jigsaw puzzles. This game is interesting and complex at the same time to keep you engaged. Lots of levels to play so this is probably gonna keep me busy for a looong time. There are 9 levels of jigsaw puzzles for every stage with a slider puzzle to get decor item at the end of each stage. The decor scene items are nice, I am enjoying collecting them. You get 3 stars for completing each puzzle if you don't make mistakes. You can use hint or ghost image to solve the puzzle if it is difficult. Music is nice and doesn't bother much. Overall a fun jigsaw game! Rated 4 out of 5 by fuzo from puzzles for all for fun I thought it would be boring but when I purchased the game I couldn't stop solving them. quiet challenging you are allowed three mistakes and then u loose a star and I hate not getting all three stars so I kept repeating until I got all. hints are there if you want to use but I don't like to use hints. over all I am having fun. Rated 4 out of 5 by pennmom36 from Halloween Trick Or Treat? This is a game similar to the Mosaic Puzzles we are usually presented with on most holidays, except this is a Jigsaw style Puzzle instead of mosaic pieces. From what I can tell, there is no Relaxed mode, therefore you must complete most of the puzzles within the allotted time in order to progress because each Stage takes a specific number of stars to unlock. The goal is to earn enough points to buy Halloween decorations to decorate the witch's house because they were stolen. You will earn the first star when you complete the puzzle, the second star if you make no more than 3 allotted mistakes and the third star if you complete the puzzle before the timer runs out. The puzzles start out small, and with fairly large pieces and are easy enough to finish with plenty of time remaining. Each progressive puzzle has more pieces added, and the pieces added to place are difficult pieces because there's no pieces in place for a reference, many times forcing you to guess. There is a Hint feature on the top left as well as a Ghost feature (ghosts the puzzles image on the board) and a Freeze Timer to temporarily stop the timer, but they will cost you points to use them. Personally, I'm a jigsaw puzzle geek and placing the pieces wicked fast aren't usually a problem for me, so I dig these types of games. 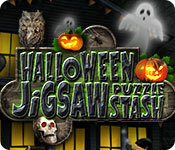 After approximately 9 Jigsaw Puzzles in each Stage, you will play a sliding puzzle to open up the Halloween Shop. You are timed on this puzzle as well, and you must slide the puzzle pieces to an empty slot as you try to duplicate the pattern shown on the example. I hate this type of puzzle so for that reason, I deducted a star because after completing 9 puzzles at a frustrating pace, I just wanted my prize, not another frustrating puzzle that has nothing to do with jigsaws in the first place! 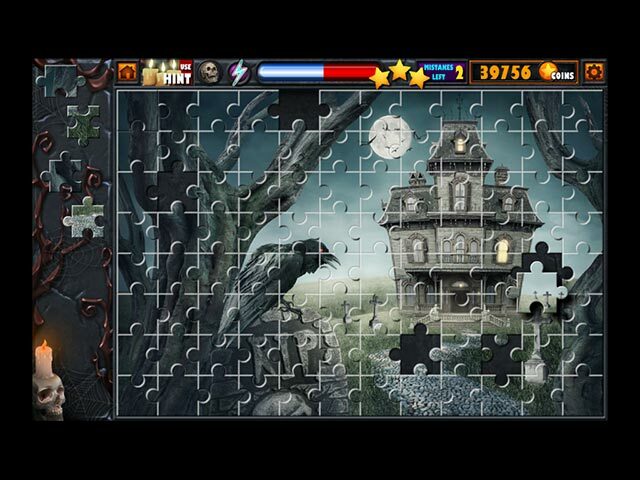 This is a nice Halloween themed competitive Jigsaw Puzzle game, but in my opinion it has two strikes against it. The first being that it has no Relaxed or Untimed mode and the second are the sliding tile mini games. In all fairness, the sliding type puzzle is something I personally don't enjoy, but you may. I remember my mother used to hand me a small plastic version of that game when I was little, to keep me occupied during church. I hated it and would spend the time plucking out the plastic square tiles and snapping them back into the desired slots. Technically, I did solve the puzzle, right? Enjoy! Rated 3 out of 5 by ldzach02 from Numerous pieces not working properly I was enjoying this puzzles until about the 5th level. At that point many of the pieces wouldn't click into place many times causing me to lose stars as misclicks. Level 8 the last 3 pieces I had to click about 5 times each before they locked into place. Rated 2 out of 5 by CatrionaWhispers from Not worth my time I seldom leave reviews but if anyone else wants to save a bit of time, don't bother with this. 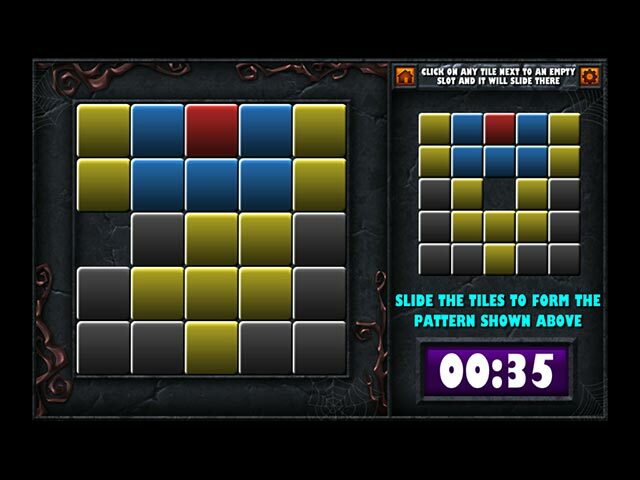 I love jigsaw puzzles, That said, this game does not allow you to sort or pick your puzzles. Or change the shapes or rotate or much of anything. Will not be buying this as it wasn't the relaxing kind of puzzle I normally enjoy. If you like being force fed your puzzle images, then this is for you. I will pass. Happy gaming!! Rated 1 out of 5 by BibiBuggs from Boring I love doing puzzles. This was not even fun. It went from boringly easy - tailored more for young children - to extremely difficult. No inbetween. No pics to refer to with the more difficult levels. It was a matter of guessing where the pieces went. Each time you miss, you're docked points. What good is it if you can't even refer to anything to give a clue to the finished product? It is simply a matter of guessing and if you like to guess and reguess and reguess, then this might interest you. For me, I'd rather see some progress, if even minor. This one's not for me. Rated 1 out of 5 by justcallmeamber from Doesn't work Some of the pieces won't place in the puzzles. I turned on the ghost image and was 100% sure where two pieces went, tried them 15 times and they would not place. When you only get 8 pieces at a time, this is a huge problem. Once the puzzle was done, one of the pieces finally went and the other took like another 6 tries. It happened again on the next puzzle and I decided I was done.